The final and maybe most difficult to read novel of the series that includes "Valis" and "The Divine Intervention" is written from the viewpoint of a woman. Usually, in the third volume of a trilogy, things come to an end, get resovled. This atmophere refuses to manifest here. 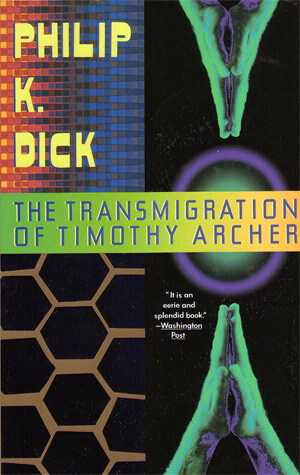 The episcopalian Bishop Archer is "haunted by the suicides of his son and mistress", as the back cover indicates and on "a bizarre quest for the identity of Christ". It is paranoia mixed with belief-systems galore, added dilemma caused by a brother with mental difficulties, drug abuse etc.